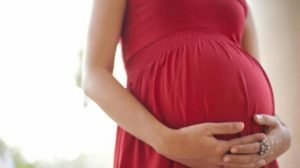 A girl studying in a government school in Mayurbhanj District of Odisha was found pregnant after a routine health checkup was done. After the news broke out, the principal of the government school called the police and filed a complaint, the tribal girl is currently admitted at a local hospital in Baripada. The girl released a statement to the police, and she said that she was having a sexual affair with a young man. The young man is from a neighboring village, he is also missing and the police are currently trying to find him. This incident came out just after a couple of days when a student was found out of being pregnant for 6 months. A boy allegedly raped her, the police has arrested the boy and has been sent to a juvenile home. A couple of sexual assault reports have been filed in the government-run residential schools in a few districts of Odisha. In January, a 14-year-old girl gave birth in the Kandhamal District.